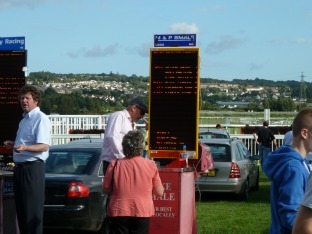 The places to look for quality free tips are the well established racing organisations. They have the resources to pay for good tipsters so check the results of 2 or 3 for a few months to decide which tipsters perform best. I recommend Free racing tips. A free horse racing tips service which not only provides free daily tips but also a thriving Facebook Group. Having found a reliable source of free tips you can now Turbocharge them by employing the services of a Paddock Watcher. This is someone who has years of experience studying the behaviour of horses in the parade ring before a race. Their advice on the day can make the difference between your horse winning or losing. Systems do work but they have a limited shelf-life. The problem with a system is that once it is used by a large number of punters it becomes less profitable. Find one or two that are not well known and you can make them pay. Here are 3 systems currently profitable. 4. Should you use a Staking Plan? 5. Arbitrage - is it worth trying? Similar to arbitrage is a process known as “Greening Up” - this is achieved by placing a lay bet followed by a back bet if and when the back price falls below the lay price. The Betfair Exchange provides an easy means to do this with their "Cash Out" facility.